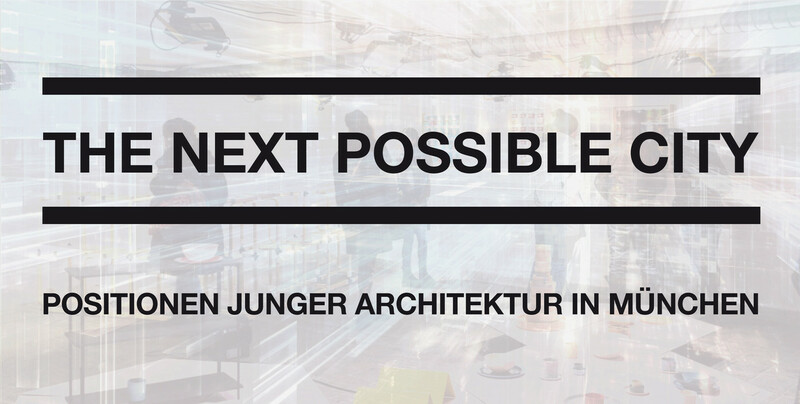 During OPENart 2018 we are presenting at BUNKER, parallel to the exhibition THE BEST POSSIBLE CITY, Nicolas Grospierre / Fthenakis Ropee, positions of young architects from Munich under the title THE NEXT POSSIBLE CITY. Each of them is represented with its own work and a reference from the 20th century: Maren Weitz / Kofink Schels / Vanessa Lehner / Max Otto Zitzelsberger / Carmen Wolf / Andreas Wolf Schulze, Rolf Enzel, Stefan Imhof / Westner Schürer Zöhrer / Sofia Dona / Ferdinand Albrecht, Benedict Heidecker, Maximilian Kimmel / Sebastian Multerer / Tibor Bielicky, Ellena Ehrl / Tochtermann Wündrich / Christoph Bedall / Leo Bettini Oberkalmsteiner, Bonaventura Visconti di Modrone / Anna Yeboa, Philipp Krüpe / studioeuropa / Fabian A. Wagner, Sophia Eun Joo Pfeiffer. The exhibition is curated by Architekturgalerie München and supported by Architekturkultur Stiftung.